​A question I am often asked is how come a guy ended up specialising in the area of health and in particular women’s health, pregnancy and childbirth. Of course it is not something I would have guessed when I was a kid if someone asked what I wanted to do when I grew up! ​Like most journeys in life, my path to working in fertility has been a winding one. As a boy my absolute passion was competitive swimming. I was an Irish and European youth champion and part of the first team to swim around the coast of Ireland. At the time I loved the intense life of a competitive athlete, and I discovered how comfortable I felt in the company of women, listening to their thoughts and concerns. The Elmtree Clinic in Oranmore, Co. Galway in 2007. In 2009 I became a dad and this has been the greatest influence on my life so far. We endured our own struggle with infertility and I saw first-hand how a mind-body treatment approach could turn infertility around. I wanted to share my learning with as many couples as possible, and in time this became the main focus of my practice and my life’s work. As a parent of four small children I can see how much my edges have softened in the past few years. Whatever competitive streak I had has disappeared and been replaced with a yearning to help as many couples have a successful pregnancy as I possibly can. 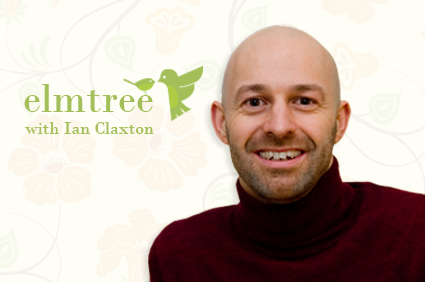 Elmtree Organics and The Elmtree Clinic are the means to help me do that. I am so inspired about how this work can help people’s lives and families to bloom! In The Elmtree Clinic we offer a warm, caring and confidential space where you can reach out for support. Founded by Ian Claxton in 2007, the mission of the Clinic is to give you all the support you need to bring your body back to wellness and health. We provide a wide choice of complementary therapies which can support you on your health plan, including massage, nutrition and psychotherapy. Contact me on 0863034593 or visit our Clinic website for more information. ​Over the years we have helped thousands of people back to health from fertility issues to back pain. We develop an individual programme for you and your body.